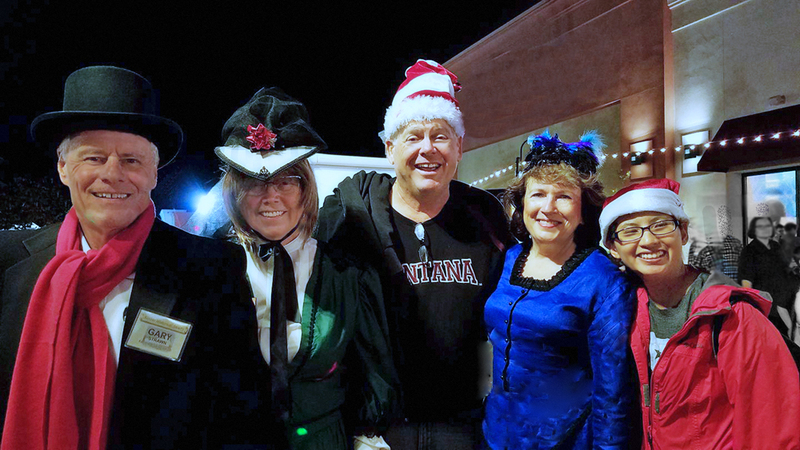 T he Santee Historical Society has been declared a Monarch Waystation. We have a Butterfly crew that will be at the Barn on July 9th to install our new sign and to discuss how we can improve our Monarch Waystation. 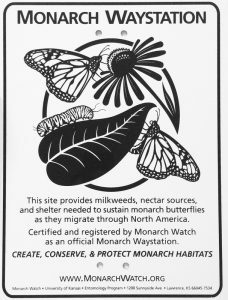 What is a Monarch Waystation ? Monarch Waystations are places with the right kind of milkweed for monarchs to lay their eggs. These plants provide food for the caterpillars to grow into butterflies. They also provide nectar so that the butterflies can make their long journey to Mexico where they spend the winter. 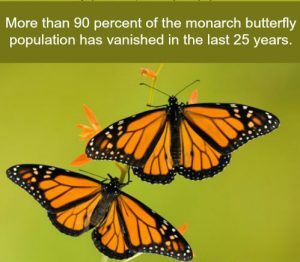 Why are the Monarchs Dying? Loss of milkweed breeding habitat due to the widespread use of herbicide resistant crops. Widespread adoption of herbicide-resistant corn and soybeans has resulted in the loss of more than 80 million acres of monarch habitat. Pesticide use which kills non-target insects and further degrades habitat. Climate change is affecting monarch populations in a number of ways. Erratic weather may also delay the emergence of milkweed in spring and change the bloom time of flowering plants that provide resources to migrating monarchs. Logging and development have degraded monarch overwintering sites. Developments in the U.S. are consuming habitats for monarchs and other wildlife at a rate of 6,000 acres per day – that’s 2.2 million acres each year, the area of Delaware and Rhode Island combined! There has been a 74% decline in the California overwintering population of Monarch Butterflies in less than 20 years, comparable to declines observed in the monarch population that overwinters in Mexico. 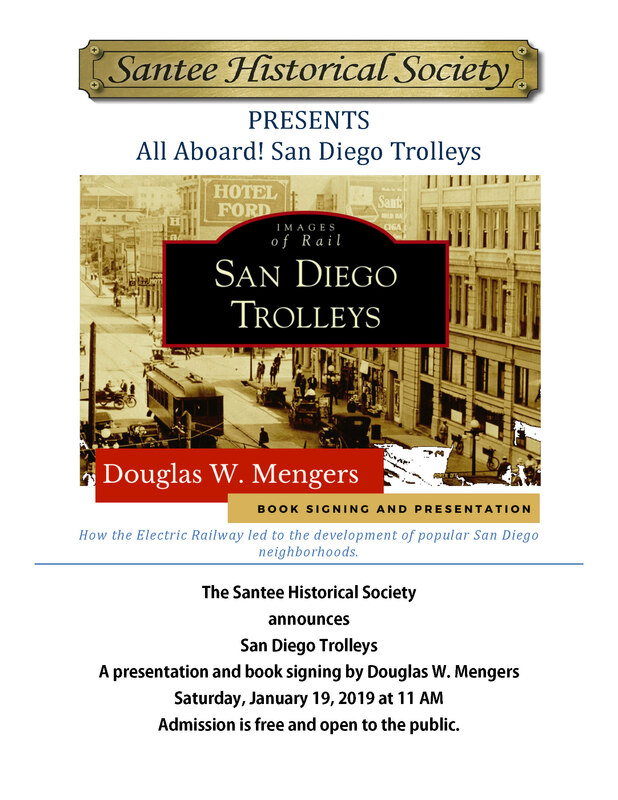 What is the Santee Historical Society Doing? To offset the loss of milkweeds and flowers we have created a “Monarch Waystations”. 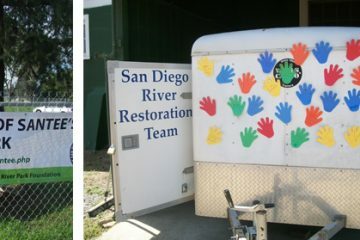 This is the Santee Historical Society’s contribution to monarch conservation. 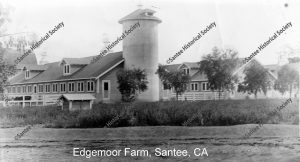 What do Monarch Butterflies have to do with Santee History? Santee has histor ically been an agricultural area. Our city was originally full of Muscat grapes, exotic fruit trees, and award winning Guernsey’s, along with native milkweed. 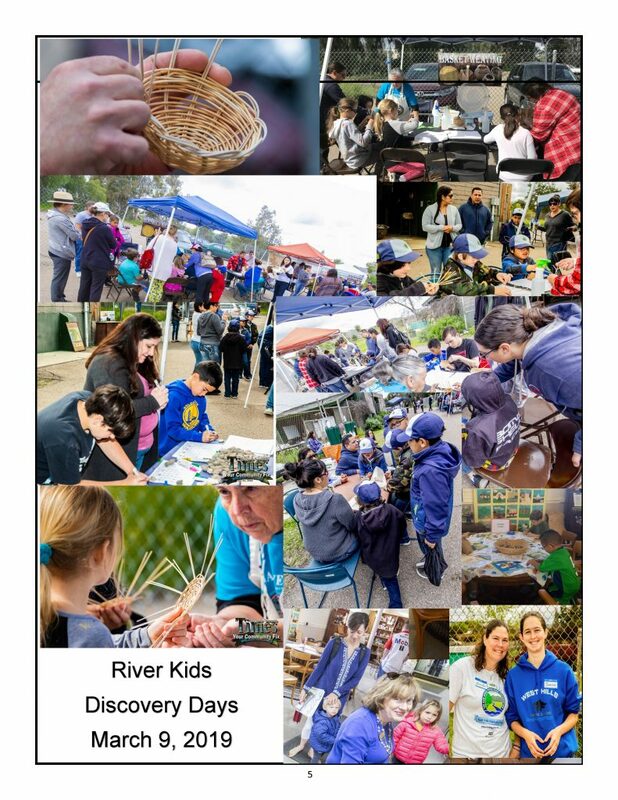 The Santee Historical Society is proudly continuing Santee’s tradition of excellence in agriculture by helping preserve the Monarch Butterfly and educating the public about the necessity and beauty of nature.